The Graduate Certificate in International Education prepares graduate students for careers in international education, including but not limited to education abroad, international student services, and placement in other international organizations which support the exchange of students in higher education. This certificate is designed for any University of Kentucky graduate student (or admitted post-baccalaureate student) wishing to enhance their graduate degree. The curriculum combines nine hours of core courses and six hours of elective coursework. Students receive a foundation in comparative higher education, organization and administration in higher education, and student services. Through elective courses appropriate to student interests, students will develop a regional area of cultural expertise and participate in at least one professional vocational experience with an emphasis on developing skills in evaluation/assessment, management, and program development. Although the certificate does not require language coursework as part of the curriculum, participants must establish their language proficiency relative to their professional and regional concentration so that they are prepared to be effective and competitive in the field. Knowledge of best practices in undergraduate Student Services, including Education Abroad and International Student Services. A comparative understanding of academic policies, organization and administration of higher education institutions in the United States and abroad. An understanding of how to identify program learning objectives behind international study and affective frameworks for evaluation and assessment of those goals. An ability to design recruitment, orientation, program implementation, and follow up activities for an assortment of international education programming, including developing budgets and data management systems. EPE 555 Comparative Education (3): This course introduces the use of comparative study for global and cross-cultural examination of education. The course uses selected educational systems, with an emphasis on the peoples of Asia and Africa, to learn about education in cultural, political, economic, and historical contexts. Comparison will be made of educational structures, institutions, policies and pedagogies as they engage their socio‑political contexts at the local, state, international levels. Concepts addressed include globalization, democracy and post-colonialism, markets, and equity and social justice. The course reviews the various methods of comparison used to study policy, programs and change from an international perspective. EPE 632 Student Services (3): This course focuses on students services (broadly defined) and those who work with college and university students outside of the academic arena. The course not only surveys the history of student services but critically examines its theoretical bases and current practices with special attention paid to the relationship between student services and other segments of campus, including education abroad and international student services. EPE 676 Organization and Administration in Higher Education (3): This course introduces the purposes and scope of higher education, organization, general administration, faculty administration, inter-institutional cooperation, and allocation of financial resources. Students also explore different state systems of higher education in the US, international models of higher education and relationships within higher education areas. In consultation with their department advisor and the Certificate Director, students should choose two electives with an eye toward developing in-depth area of professional expertise for a particular “field”. Because of the breadth of possibilities for regional study, a complete list of approved courses is unreasonable. The choice of focus for an individual’s graduate certificate will depend on that person’s undergraduate coursework, professional and personal experience prior to entering the certificate program, professional goals, and graduate degree/s major. Students must therefore work with the Certificate Director and their major professor or program advisor to design the best course of study for their needs using the attached Course of Study & Regional Concentration Proposal form. Language Proficiency: The level of language proficiency recommended of each individual will be determined in consultation with the Certificate Director in light of the student’s professional and regional concentration. All certificate students will be required to have completed the minimum world language proficiency level set for UK undergraduates and many will be expected to reach an intermediate-mid ACTFL level. These are understood as minimum requirements, ones that can be raised by the Director in consultation with individual students. On a case-by-case basis, the Certificate Director will determine whether a more advanced level of proficiency is appropriate based on what language experiences and proficiency fit the individual’s career goals in relation to the certificate. We deliberately have left this flexible as some careers in international education with a focus on student services require more global expertise rather than a high level of bilingualism. At the same time, individuals must have some experience of learning and using a second language in order to work effectively in multilingual, multicultural contexts. Sufficient language experience (although perhaps not fluency) is critical to effectively understand the challenges that students participating in international exchange encounter. Thus, language proficiency, in this context, also implies the ability to assess different study abroad programs on a basic level, in terms of their approach to language learning. Students are expected to describe the level of language proficiency they have obtained relative to their professional and regional concentration in the attached Course of Study & Regional Competency Proposal form. Professional Competence: to complete the certificate, candidates must demonstrate competency in an area of professional practice appropriate to their interests. This may include methods of management, evaluation and assessment, event planning, faculty and program development. These may be acquired through internship or other forms of experiential learning (e.g. graduate assistantship). Students pursuing this certificate are strongly encouraged to apply for internship and experiential learning opportunities abroad. Some experience of international living is a requirement. That experience may have occurred prior to beginning the certificate. Students will be expected to provide evidence of their professional competency as part of their Course of Study & Regional Competency Proposal form. Satisfy requirements of the graduate school for admission to certificates (see the Guidelines for Graduate Certificates). All students wishing to pursue a graduate certificate must submit an application through Apply Yourself. This may seem excessive, particularly in instances where a certificate is nested within a graduate program. However, this is the only way we can accurately report total certificate enrollment. To encourage compliance with this enrollment requirement, effective Fall 2016, there will be no application fee for currently enrolled graduate students. Students applying exclusively for a certificate will be charged the standard $65 fee. To date, the Graduate School has applied the policy that credit hours accrued toward a graduate certificate can also be applied toward a master’s, specialist, or doctoral degree. Applications will be reviewed by the Certificate Director to assure that the student has met the University of Kentucky enrollment requirements, is a student in good standing, has clearly articulated goals for professional development in this field that can be met through completion of the certificate, and has the support of their home department. 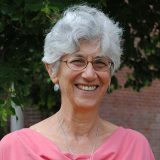 The Certificate director is Dr. Beth L. Goldstein, Department of Educational Policy Studies & Evaluation. She can be contacted at beth.goldstein@nulluky.edu and by phone at (859) 257-2705. The Certificate is further guided by an advisory committee comprised of faculty from the targeted graduate programs described above along with one professional staff person from the Office of International Affairs. These individuals serve three year, renewable appointments. This committee regularly review curriculum requirements, consider student petitions for course inclusion, assess quality of the experiential learning components, and evaluate overall program quality.